Consumer GPS devices/apps generally do not warn drivers of restricted roads, low bridges, or other information relevant to commercial motor vehicles. Many truck drivers are unaware of this, resulting in illegal residential traffic, bridge strikes, and other problems. If your neighborhood has posted restrictions on commercial truck traffic, you may report violations to your local transportation authority or to FMCSA (1-888-368-7238). Be prepared to provide a license plate number and company name for each incident. The maximum federal penalty for failing to comply with a posted route restriction is $11,000 for a company, $2,750 for a driver. To request a new through truck restriction in your neighborhood, please contact your local transportation authority. Visit the following websites to ask the makers of GPS devices/apps and online maps to clearly label the restricted routes in your neighborhood. To reach the most GPS users, we recommend reporting the same problem at each of these websites. Corrects devices by TomTom, Apple, etc. Corrects Android & Windows Phone mapping apps, Bing, Yahoo! Maps, and devices by Nokia, Garmin, BMW, Toyota, etc. The websites above are not run by the government and may require registration and/or browser plug-ins. We list them for information only and do not endorse any non-governmental products, services, or views. After you submit your problem report, it may take weeks or months for each map provider to verify it and issue a mapping software update. Once an update is issued, users of mobile apps and online maps will see it immediately. However, people with dedicated GPS devices, such as car navigation systems, will have to download the update to see the change. Unfortunately, most people do not update their devices regularly. 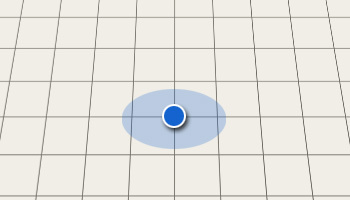 GPS only gives you the blue dot. It does not provide the map! The private sector is responsible for maintaining the mapping information in consumer devices/apps and online maps. For further help with devices, apps, and maps, please contact the companies that produce them.